Roof battens are thin strips of material that may be made of wood, plastic or metal. They’re installed before the tile is laid on the roof and may serve more than one purpose. 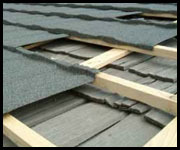 The ideal installation method for roof battens when installing a tile roof depends on the roof material, its slope, and environmental conditions such as rainfall, temperature and wind. Roofing battens are used to provide the fixing point for roofing sheet or roof tiles. The orientation and spacing of the battens depend on the type of roof. Battens may be oriented at right angles to the trusses or rafters of a roof like purlins.